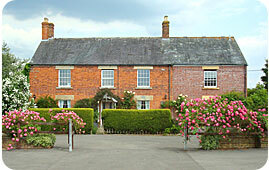 Newhouse Farm Bed and Breakfast is situated on the A361 between Trowbridge and Devizes, about half a mile east of the junction with the A350. From the Devizes direction we are just past a car dealer and lay-by, on the left hand side. From the Trowbridge direction we are just past a lay-by, on the right hand side. We are close to the Kennet & Avon canal – for a walking/cycling route to our house please click HERE.